The Nike Pro Older Kids' (Girls') Training Tights are made with stretchy fabric for supportive comfort that moves with you at practice or play. 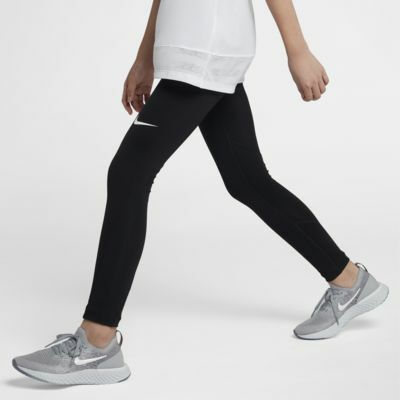 The Nike Pro Older Kids&apos; (Girls&apos;) Training Tights are made with stretchy fabric for supportive comfort that moves with you at practice or play. Fabric: Body: 80% polyester/20% elastane. Panels: 92% polyester/8% elastane. Gusset lining: 100% polyester.